I can’t seem to get enough of this warm root! I prefer to use the fresh root in teas and cooking. It’s warming and stimulating and thus encourages circulation. 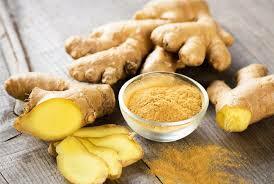 Ginger tea is great for colds. It soothes sore throats and helps move mucus out of lungs. It is also supportive for the digestive system. It settles an upset stomach, relieves nausea, dispels gas, and stimulates digestion. Furthermore, it reduces inflammation, can relieve PMS cramps, and helps warm extremities. I also like drinking the tea when I feel my energy drop around 3pm. Preparation– ½-1tsp. Fresh root grated and steeped covered for 10 minutes. I also love getting my ginger through food. I love chopping some up and putting it in my oatmeal in the morning (add sooner in the cooking process for a milder flavor and right at the end if you want to still taste the bite!) It also accentuates soups and spices up sauteed greens. This is one of my favorite remedies to stop a cold or flu before it takes hold in my body. Elderberries are an immunomodulator which means they regulate and normalize our immune systems. 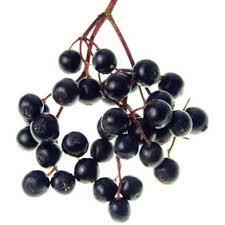 In addition, elderberries have antiviral properties and are packed with vitamin A, C and flavonoids. At the first sign of a tickle in my throat, drop in my energy not due to lack of sleep, burning eyes, or achy muscles, I make elderberry tea. I like combining Elderberry, fresh ginger, a cinnamon stick, and rose hips in a quart jar and then pouring boiling water in and letting it sit for 1 hour or even overnight. *for most effective use, drink 2-3 cups a day but be sure to sip it mainly between meals and spread it out throughout the day to keep your system flushed with the medicine. You can also find Elderberry in many of our pre-made teas. We also carry capsules, extracts, and elderberry syrups.